When I attend a Halloween party, I know that people are always curious what the… “Dietitian” is going to bring! As you can see from all the recipes I’ve been sharing this week, healthy does not have to be boring or bland. In fact, healthy can taste even better than processed or more traditional foods that are often considered to be the “tastier” version. As a Registered Dietitian, I love bringing a vegetable dish to a party and to my joy the response is great! People love having refreshing, light and crisp tasting vegetables among all of the sugary treats. 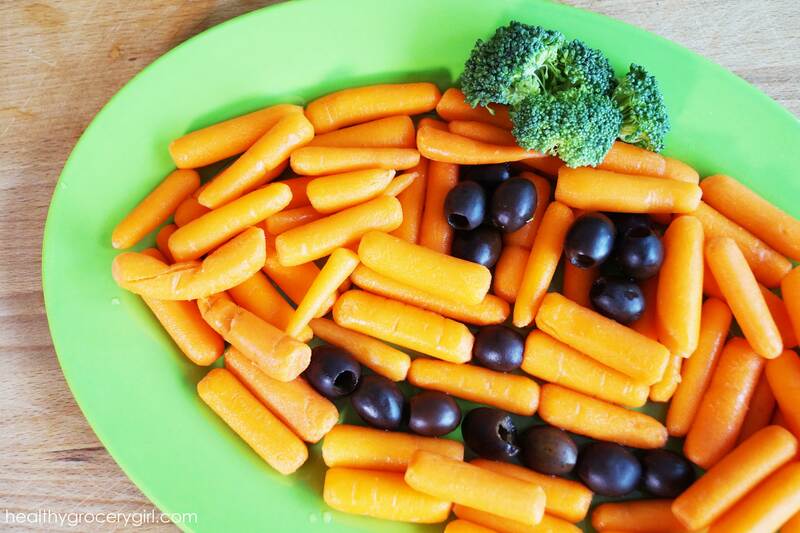 I have been making this pumpkin shaped veggie platter for years now so it was a perfect fit to include in our Halloween Recipe Party Week! It’s so simple to make, as you can see from the picture below! To make this dish what you’ll need is carrots, olives and broccoli. You can also use cucumbers, which I will explain more about in a moment! You also will need a platter of some sort, the more round and circular the better to reflect a true pumpkin shape. Optional is to use olives to make the eyes and nose and then make the mouth / teeth with slices of cucumber! 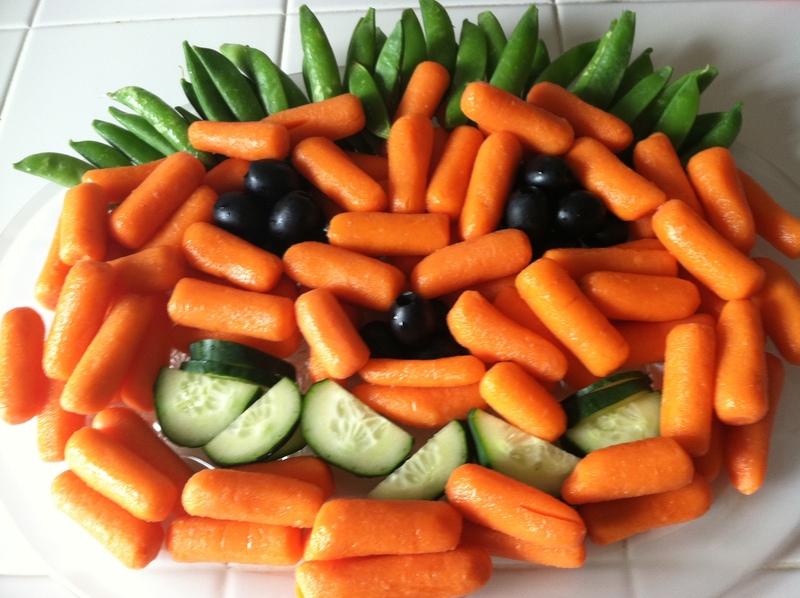 Pictures of my Halloween veggie platter throughout the years!